1983 Diamond Classics Complete Series 2 fifty-five card set #232 of 10,000 in the original box with twenty-five autographed. 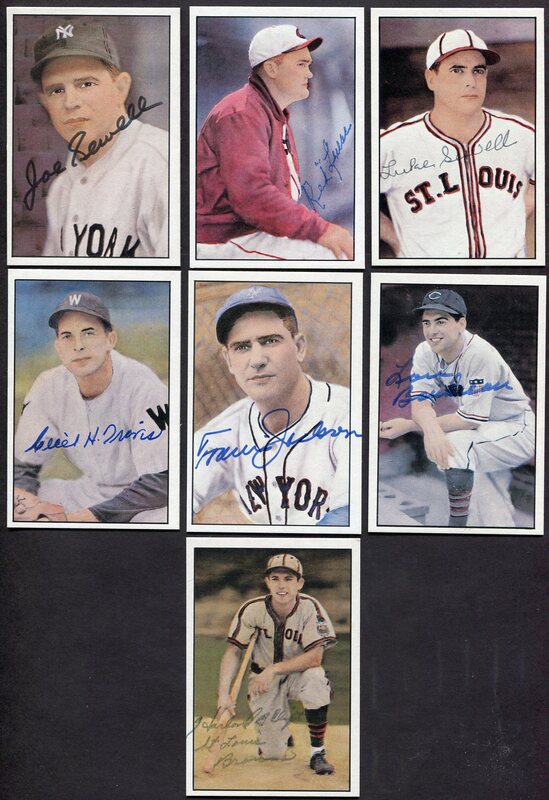 The autographs were obtained by the consignor in the 1980's either in person or thru the mail. 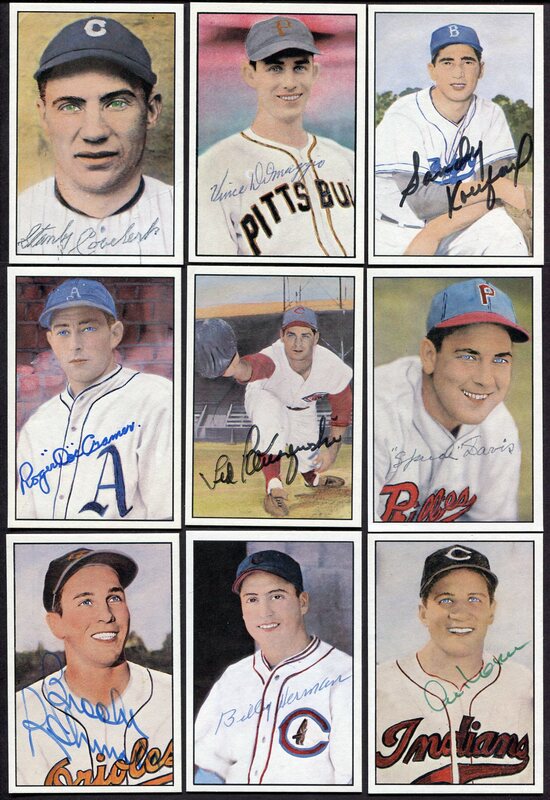 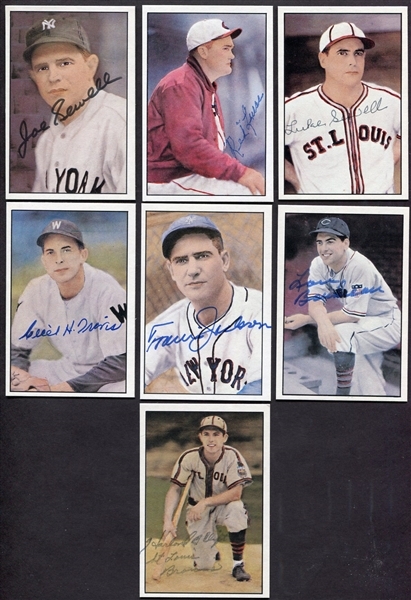 A great array of stars and HOFers which are no longer with us to sign these cards. A large dollar amount of autographs if purchased individually. 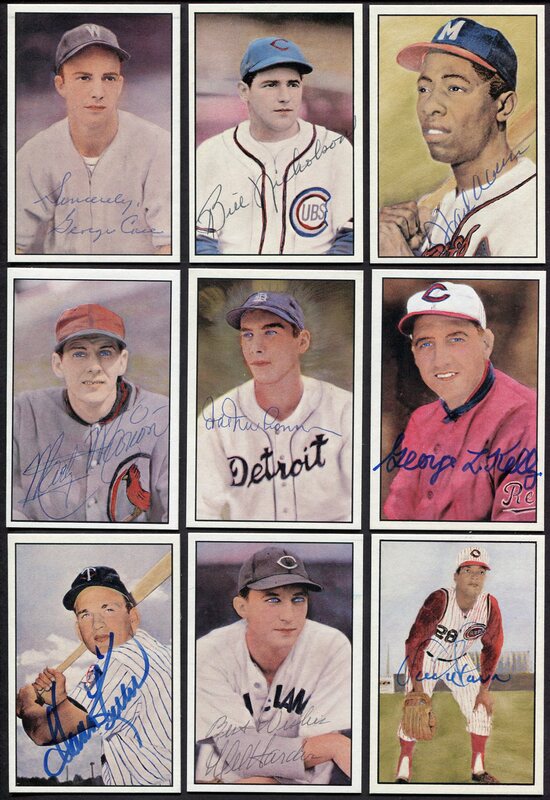 Included are: Stan Coveleski, Vince DiMaggio, Sandy Koufax, Doc Cramer, Ted Kluszewski, Spud Davis, Brooks Robinson, Billy Herman, Al Lopez, George Case, Bill Nicholson, Hank Aaron, Marty Marion, Hal Newhouser, George Kelly, Harmon Killebrew, Mel Harder, Vada Pinson, Joe Sewell, Red Lucas, Luke Sewell, Cecil Travis, Travis Jackson, Lou Boudreau and Harland Clift. 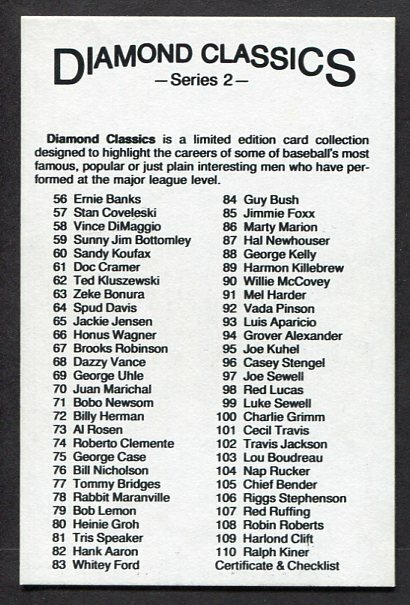 The Koufax and Aaron are worth the opening bid. 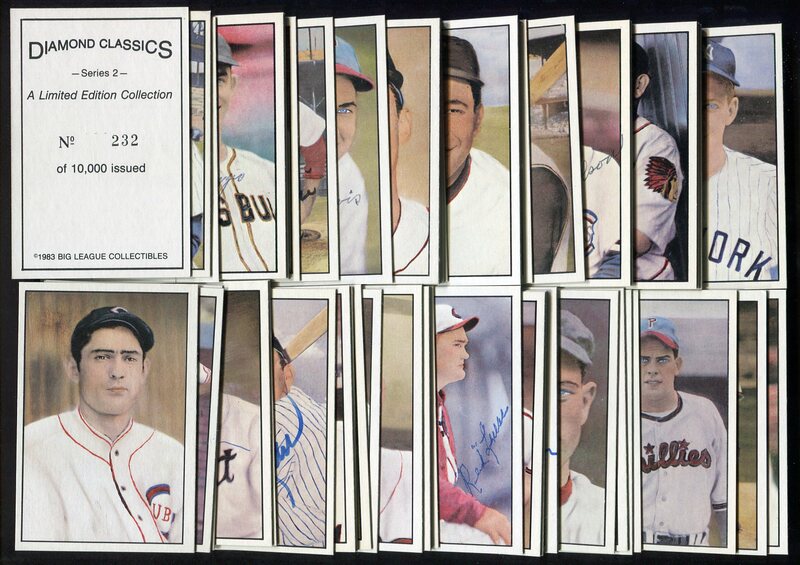 This would go nicely with the Series 1 partially autographed set!